The Days of Johann, an agility dog! : Black and White Sunday: The gang's all here! 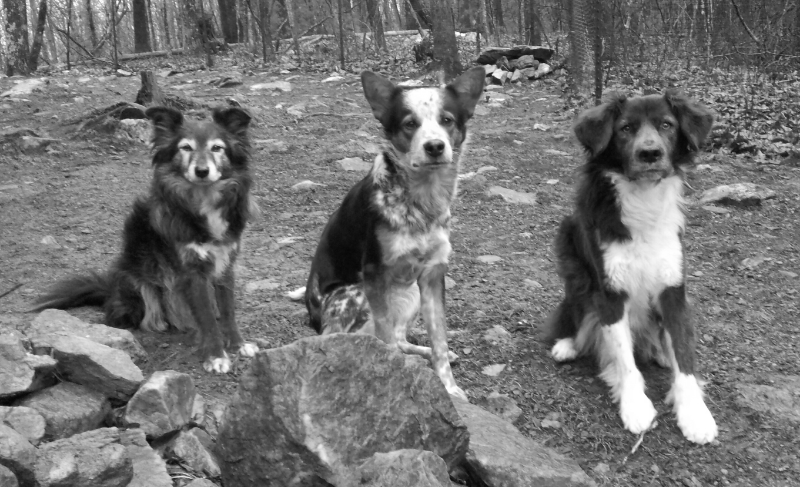 Black and White Sunday: The gang's all here! This blog hop is brought to you by Dachshund Nola and Sugar! Cute! And very good posers! Great looking B&W of the three of you! Have a wonderful Sunday! Great shot! If the gang is all here then let's get this party started! They pose so well. Mom says I don't like to stand still for photos, so most of the ones of me are on the floor with one of my stuffy toys. They look like they're ready for an adventure! Love the three different ear styles: flippy, floppy and perky!